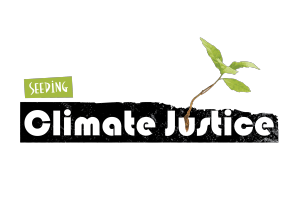 Climate justice advocates, community peoples and mass movements’ representatives met in Maputo, Mozambique from 21-23 April 2015 to consider the roots, manifestations and impacts of climate change on Africa and to consider needed responses to the crises. The meeting noted that the Africa Rising narrative is based on the faulty premises of neoliberalism using tools like discredited measures of GDP and is presented as a bait to draw the continent deeper into extractivism and to promote consumerism. The meeting further noted human and environmental rights abuses on the continent, as well as the ecological, economic, financial crises, all adversely affect her peoples and impair their capacity to adapt to, mitigate impacts and build collective resilience to climate change. The meeting frowned at the widening gap between our governments and the grassroots and the increasing corporate capture of African governments and public institutions. These constitute obstacles to the securing climate justice for our peoples. The long walk to climate justice requires mass education of our populace, as well as our policy makers, on the underpinnings of the climate crisis, the vigorous assertion of our rights and the forging ahead with real alternatives including those of social and political structures and systems. It also demands collective and popular struggles to resist neo-colonialism, new forms of oppression and new manifestations of violence including criminalisation of activists and social movements, and xenophobia. We recognise that as climate change worsens, it will increase the resource crunch and migrations and will lead to more conflicts between people. We also recognise that the exploitation of migrant labour by corporations often leads to conflicts between neighbouring countries. Renewable energy that is socially controlled must be promoted across the continent. We say no to mining as we lived better without extreme extractive activities. In all cases the welfare of local communities and our environment must come be prioritised over the profits of investment companies. Governments must take up the responsibility of providing hospitals, schools and other social services and not leave these for corporations to provide as corporate social responsibility or other green washing acts. Conference participants resolved to work with other movements in Africa and globally for the overturning of the capitalist patriarchal system promoted and protected by the global financial institutions, corporations and the global elite to secure the survival of humans and the rights of Mother Earth to maintain her natural cycles. United Methodist Caretakers of God’s Creation. This entry was posted in Blog, Climate Justice and tagged Climate Justice by globalforest. Bookmark the permalink.